In this article, the influence of primary mechanical milling of precursors on the microstructure and dielectric properties of Bi4Ti3O12 ceramics was studied. Precursor material (mixture of Bi2O3 and TiO2 powders) was ground by a high-energy attritorial mill for (1, 3, 5, and 10) h. Bi4Ti3O12 ceramics were obtained by a solid-state reaction process, synthesized at an intermediate temperature (800 °C) and finally sintered at high temperature (1140 °C). Structure studies were performed by X-ray diffraction (XRD) and scanning electron microscopy techniques. XRD patterns were analyzed by the Rietveld method using the DBWS 9807a program. 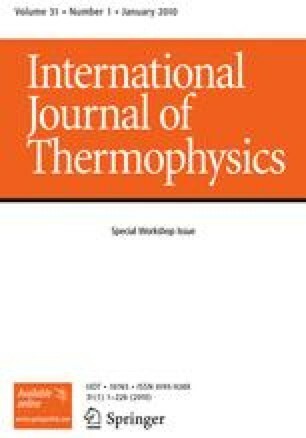 The thermal properties of the studied materials were measured using differential thermal analysis and thermal gravimetric techniques. These studies indicate that one-, three-, and five-hour primary high-energy ball milling followed by sintering is a promising technique for pure Bi4Ti3O12 ferroic ceramics preparation. The investigation of Bi4Ti3O12 shows that ceramics obtained from a precursor and milled for 5 h have the best dielectric properties.